Buried at: Dubbo Cemetery ?? 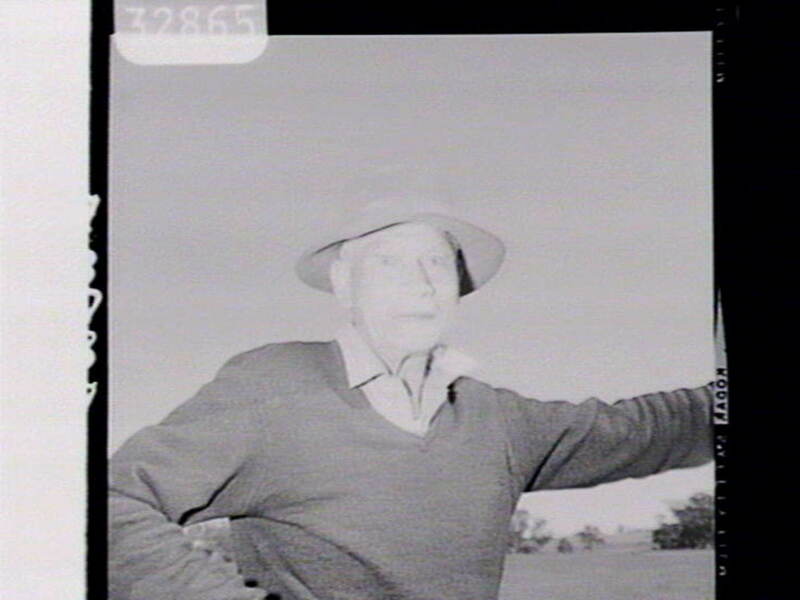 Alexander Riley (1884-1970), tracker, was born on 26 May 1884 at Nymagee, New South Wales, son of John Riley, labourer, and his wife Mary, née Calligan. Alec was part-Aboriginal and worked as a stationhand. On 11 June 1911 he joined the New South Wales Police Force as a tracker and was based at Dubbo. His tracking skills helped to break a cattle-thieving ring in 1913. He also assisted in the recapture of two escapees from the Dubbo gaol. Although he resigned from the police force on 31 August 1914, he was reappointed on 1 January 1918. On Christmas Eve that year, after following her footprints across rough and barren terrain, Riley found a barefooted 6-year-old girl who had been lost for twenty-four hours in the mountains near Stuart Town. He helped to apprehend George Earsman in 1921; Earsman was later sentenced to death for the murder of Alexander Matheson. In the early 1920s Riley was credited with the capture of the ‘last of the bushrangers’, Roy Governor, a younger brother of the notorious Jimmy Governor. Roy, an expert bushman, had evaded thirty policemen and ‘blacktrackers’ for three months until Riley discovered that he tied pieces of sheepskin—wool-side down—to his feet to disguise his tracks. At the Presbyterian manse, Wellington, on 14 June 1924 Riley married 26-year-old Ethel Taylor. He was a well-known horseman in the Dubbo district, appearing at many country shows and with the travelling rodeo of the Police Boys’ Clubs. In 1939 Riley helped in the arrest of Andrew Moss, who had reputedly killed thirteen people over twenty years. It had taken him more than twelve months of ‘painstaking investigation to run this man to earth’. Moss was charged with three murders, convicted and sentenced to death, but his sentence was commuted to life imprisonment. That year Riley was officially commended for ‘his excellent tracking work which led to the recovery of property to the value of approximately £80, stolen from a store at Trangie, and also for the arrest of the offenders responsible for the robbery’. In 1940 he was able to demonstrate that the death of a child, whose remains were found in a gorge near Bugaldie, was the result of an accident rather than foul play. When he was promoted sergeant on 5 August 1941 Riley was the first Aborigine to gain that rank in the New South Wales Police Force. Again officially commended for finding a missing man in April 1942, he was awarded the King’s Police and Fire Services Medal for Distinguished Service in January 1943. 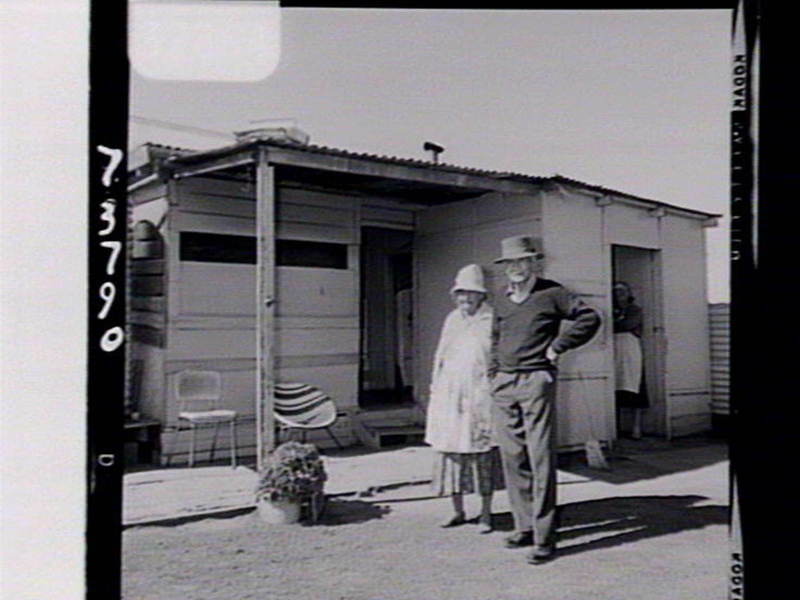 He lived all his working life at the Talbragar Aboriginal Reserve, by the Macquarie River, near Dubbo, and was permitted to remain there with his wife after his retirement from the police force on 13 July 1950. Survived by his five sons and three daughters, he died on 29 October 1970 at Dubbo and was buried with Anglican rites in the local cemetery. In 1996 Michael Riley made a short documentary film, Blacktracker, about his grandfather and his ‘legendary skills and deep humanity’. It was screened by the Australian Broadcasting Commission in September 1997. Alexander (Alec) “Tracker” Riley was born on 26 May 1884 at Nymagee N.S.W., son of John Riley, a labourer, and his wife Mary, nee Calligan. He worked as a stationhand before joining the New South Wales Police Force as a tracker on 11 June 1911, and was based in Dubbo. His tracking skills helped to break a cattle-stealing ring in 1913, and he found a bare-footed 6 year old girl who had been lost in the mountains for twenty-four hours near Stuart Town on Christmas Eve in 1918. 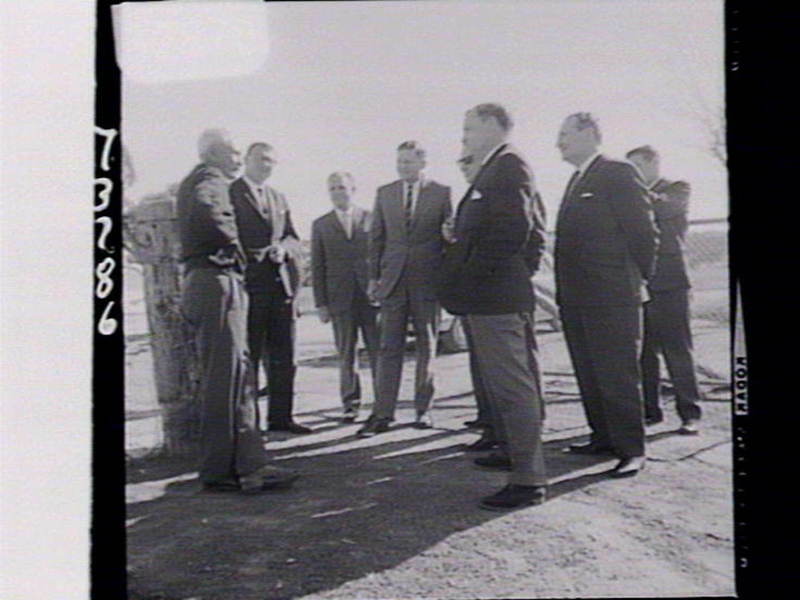 He also assisted in the capture of two escapees from Dubbo Gaol, and in locating many other offenders, missing people, and stolen property, during his career. He married Ethel Taylor at Wellington in 1924. He was promoted to Sergeant on 5 August 1941, and was the first Aborigine to gain that rank in the New South Wales Police Force. His excellent tracking skills lead to him being awarded the King’s Police and Fire Services Medal for Distinguished Service in January 1943. 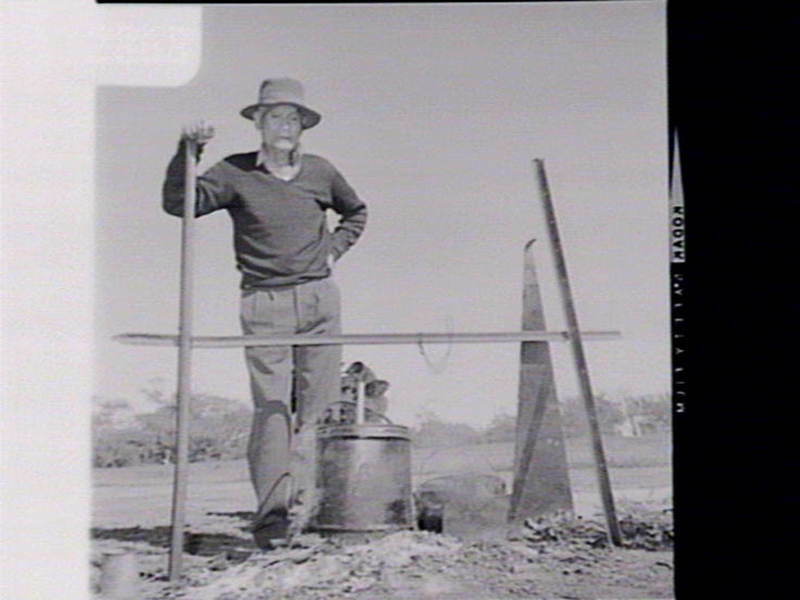 An article titled “A Black-Tracker tells his story”, published in The Sunday Herald on 9 July 1950 (p. 9 http://nla.gov.au/nla.news-article18480263) reports that “Alex Riley is generally considered the State’s most outstanding black-tracker”, and that he “has tracked down and rescued more than 20 lost people in as many years”. He was also an excellent horseman, and over the years trained footballers, cyclists, athletes, swimmers, and boxers in the Dubbo district. 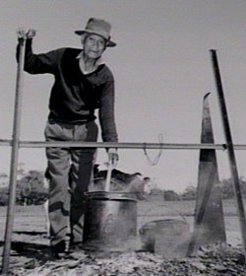 He lived all his working life, and after his retirement from the police force on 13 July 1950, at the Talbragar Aboriginal Reserve near Dubbo. He died on 29 October 1970 at Dubbo. The Tracker Riley Cycleway around the Macquarie River at Dubbo was named in his honour and is 1 year old today. Mark Olive aka “The Black Olive” is back to show us how to do a picnic with a twist. RACHAEL MAZA, PRESENTER: Hi, welcome to Message Stick. I’m Rachael Maza. This week’s show is a special tribute to Indigenous film-maker and artist Michael Riley, who passed away after battling a long illness He was 44. Michael produced some beautiful films for us over the years, and we’d like to replay one of them. It’s called ‘Blacktracker’. This is dedicated to Michael Riley. ‘BACKTRACKER’ OPENING SUPER: From the early 1800s, Aboriginal people have been used as guides and trackers by the police force. This century, one of the most highly was Sergeant Tracker Alexander Riley of Dubbo, NSW. of Kooris from around New South Wales. And I interviewed the local police. And I got to interview ex-Detective Sergeant Claude Oakman, who’s now retired and has a lot of fond memories of Grandfather Riley and worked with him quite closely on a number of very important cases. BERNADETTE YHI RILEY: Everybody, like all the Kooris and all the non-Aboriginal people, all said virtually the same thing about Grandfather Riley. They said that when he was tracking that the reason why he found people so quickly and he was so good at finding people, was not only the physical tracking, but it was the mental stuff – he had a sixth sense, perhaps. CLAUDE OAKMAN: He was more than a tracker. As far as abilities were concerned…where he learnt them I don’t know, but he knew every bird and beast, knew their calls, what they did, how they reacted. He could track any signs, see any signs…marks, footprints. Show him a pair of shoes and he could say whether that was the same mark, tracks, that he was looking for, or not. But in doing that, he had the knowledge of what those tracks meant. He could read tracks. And he could deduce from that what that person was doing, whether he was running, walking, whether he was ill, whether he was hurrying away, fatigue had set in. And he read that and that was part of his tracking. And to start off and follow a track, he would go, quite often, 100, 200, 300 yards and not see a sign and then came onto some tracks. But he had that happy knowledge or ability of finding which way that person or thing that he was tracking was travelling. Where he would go if he was lost, if he was injured, thirsty or dying – it was a different set-up to a man that was trying to escape and going straight. And he would follow those tracks from intuition and I don’t know of any other person that could do that. I’ve seen other trackers and they could follow tracks and the average bushman could follow tracks. But to come to an area… I mean, he might see… They talk about ants – he might see ant tracks there – where they’ve been – and he could read those. But I mean, he could also read whether they’d been disturbed recently or hadn’t been disturbed for some time. BERNADETTE YHI RILEY: I think one of the most disturbing cases that Grandfather Riley was ever involved in was the case of Desmond Clark. Desmond Clark was a 2\-year-old boy that went missing in the Pilliga Scrub. They had a 750-man search party trying to find Desmond and they couldn’t find him anywhere. So the superintendent, he found Tracker and got Tracker to come out to this property. But when he got to the property, the old cocky who owned the property turned around and said to Tracker Riley he didn’t want any blacks on his property…and wouldn’t allow him to participate in the search for his 2\-year-old grandson. So Grandfather Riley had no choice. He had to go back to Dubbo He hounded the superintendent to let him go out there because he believed that he knew which direction the boy was going in. Because it was coming on nightfall and there was a full moon that night, the child would be walking towards the light. But of course, nobody bothered to search in that particular direction and Desmond Clark was never found. About 12 months later, Desmond Clark’s grandfather died and Tracker Riley went back out to the Pilliga. And he decided to follow through on his theory about the young boy following the moon. And within 12 hours, he found the boy’s remains in a chalk pit. But the most startling point of it all was that his remains were only 500m from the actual homestead and the search party of 750 people had been looking in the wrong direction. And that, for him, was very disturbing. And although he never complained to anybody or said anything, my Aunty Ruby said that there was a change in his behaviour and that indeed, he was very upset, because Grandfather Riley believed wholeheartedly that if he was allowed on that property, he would’ve been able to save that boy’s life. So I suppose that just shows you how powerful racism can be. CLAUDE OAKMAN: Alec was very reserved about his talking of work done and to whom the benefit arose. With the police that worked with him, some gave him full credit, others took all the credit, I’m sorry to say, but Alec never complained. To the turns that he’d done for the public in possibly tracking stock, recovering of stock, recovering of property, I think Alec combined with the police that were there to do that and he never, ever got the same credit as the policeman, which he should have done. But because he was a tracker, he missed out on that and bypassed a lot of commendation that he should’ve got. BERNADETTE YHI RILEY: What about when Grandfather tracked down Andrew Moss, when he could tell which way the sulky went by the twigs? RUBY McGUINNESS, ALEX RILEY’S DAUGHTER: Yeah, between… Well, you know, like, the sticks were broken on the side of where he went in…round about and that, where he felt, you know, these people would be. And it was in a creek down on Narromine Road, out the Narromine Road. And Dad sifted the… There was a fire, see? And he sifted all the ashes and he found all the human bones, belonged to this bloke that he murdered for his sulky and his horse. BERNADETTE YHI RILEY: Well, he said he killed 13, the baker’s dozen. The most sensational case that Tracker Riley was ever involved in was the case of Andrew Moss. Andrew Moss killed three people and was finally charged in 1939. But to actually catch Andrew Moss, Grandfather Riley had to track a distance of around 200km radius. He went to places such as Narromine, Dubbo, Gilgandra, Peak Hill, and he was quite instrumental in the capture of Andrew Moss. He led the police to Andrew Moss and he was also instrumental in getting Andrew Moss charged with murder, because all of the evidence was circumstantial and Tracker Riley, not only was he a good tracker but he was also an excellent witness in court. I think the most difficult person that Tracker Riley ever had to track down was Roy Governor. Roy was the youngest brother of Jimmy and Joe Governor. In fact, he was four years old when Jimmy and Joe were involved with the Breelong Massacre. BERNADETTE YHI RILEY: What about when Grandfather resigned from the Police Force and he was a sergeant and everything and he didn’t get the pension? They didn’t give him any money when he left the Police Force. RUBY McGUINNESS: No, they didn’t give him anything. They didn’t recognise him for anything. When he retired, they gave him a dinner. SHIRLEY MATTHEWS, ALEX RILEY’S GRANDDAUGHTER: Farewell dinner. RUBY McGUINNESS: Farewell dinner and a gold watch and that’s what he got. SHIRLEY MATTHEWS: That was from the people he worked with in the Police Force. RUBY McGUINNESS: They gave him nothing in Dubbo. RUBY McGUINNESS: As a policeman. RUBY McGUINNESS: He only got the Old Age Pension. That’s all he got. When he retired, he and Mum, he didn’t get anything else. BERNADETTE YHI RILEY: The Police Pension. RUBY McGUINNESS: He didn’t get that. BERNADETTE YHI RILEY: And he contributed to that Police Fund – it said on his record. RUBY McGUINNESS: Of course he would’ve been. Of course he did. BERNADETTE YHI RILEY: Claude, when Alec was awarded the medal in 1943, the King’s Medal…? CLAUDE OAKMAN: King’s Police and Fireman’s Service. BERNADETTE YHI RILEY: Yeah, For Distinguished Services. BERNADETTE YHI RILEY: How did he feel about that, getting that award? CLAUDE OAKMAN: Alec was very proud. I was very proud and pleased that he got it. It was not for one individual episode or service, it was for continued service for a number of years and efficient service throughout that period. And in addition to efficient service, it was for good conduct as well. That he lived a very fine and steady way of life, helping other people and always ready to help the police, as well as the public. He was well liked by the public. BERNADETTE YHI RILEY: What did all the Kooris think of him being a policeman? RUBY McGUINESS: ..got this medal. But…he was a great old man, you know, although he was my father. And…he was very clever. BERNADETTE YHI RILEY: What about Grandfather’s funeral? RUBY McGUINESS: They gave him a State funeral, the police. SHIRLEY MATHEWS: They had the parade of police. RUBY McGUINESS: Yeah, they had the parade and everything like that. BERNADETTE YHI RILEY: There was a few hundred people there. RUBY McGUINESS: There would’ve been more than that. There was people outside the church. Many people came from everywhere, you know, who knew him. BERNADETTE YHI RILEY: Did the police offer to help with the funeral? RUBY McGUINESS: They did, but the boys didn’t want that. BERNADETTE YHI RILEY: How come? RUBY McGUINESS: No. They said they wanted to do that for their father, for our father. BERNADETTE YHI RILEY: When I first started researching about Tracker Riley, I was motivated because it was such a positive story. It wasn’t a story about assimilation and it wasn’t a story about oppression. 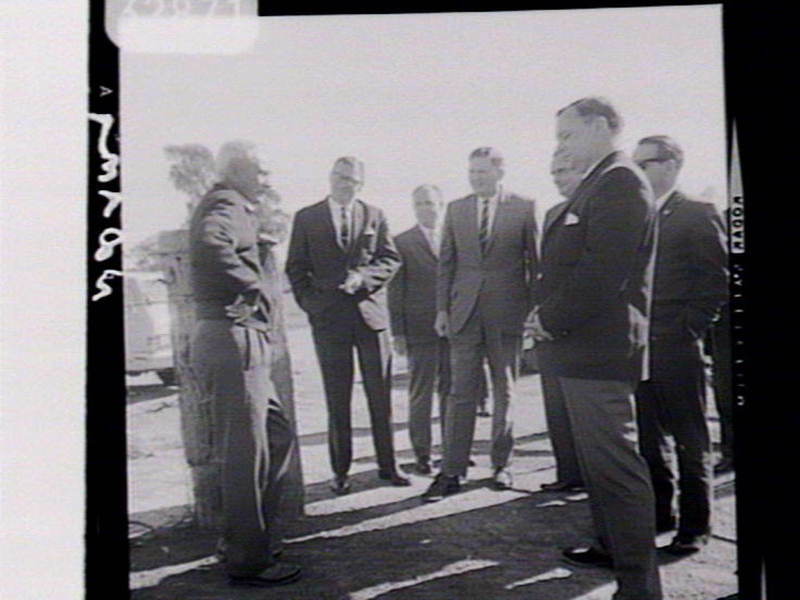 It was a story about an Aboriginal man who achieved in times of extreme adversity with the Government policy and law of the day and the racism that was around, which, of course, we all know still is, but back in those times it was really quite overt. I mean, he was living in an era where the Government was taking Aboriginal children away from their mothers, where they had assimilation policies going, where they had Aboriginal reserves being set up all around the place, and Aboriginal people were being treated really badly in those days, and he created a lot of goodness and he changed a lot of people’s views. He educated a lot of non-Aboriginal people. And then, for me, I started to realise that it was more than just a positive story. It was more a story about our culture and how rapidly our culture is diminishing. Every time we lose one of our old people, we lose knowledge and we lose experiences and I feel that as young Aboriginal people, that we have a responsibility to find out our roots and to find out as much as we can and preserve it, because if we don’t do that and we don’t pass that on to our children, then we’re just as responsible as the Government of that era of cultural genocide. 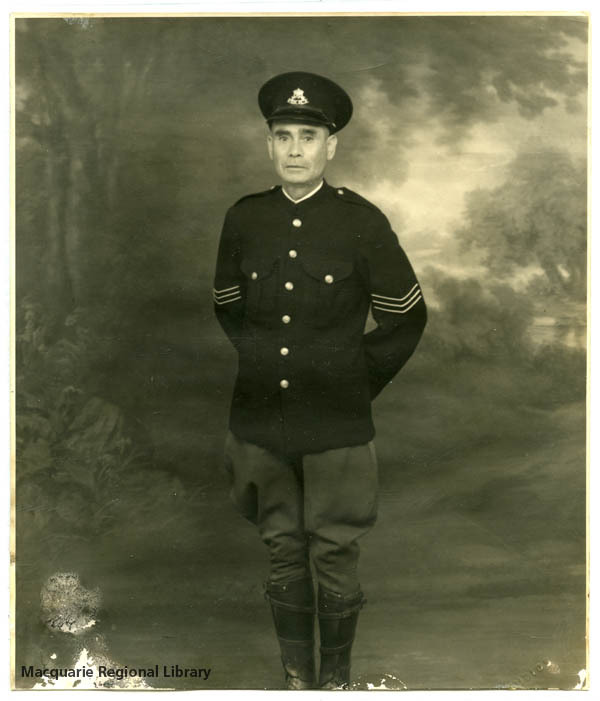 ‘BACKTRACKER’ CLOSING SUPER: During Tracker Riley’s time with the NSW Police Force, 1911-1950, he was instrumental in solving over seven murder cases and finding numerous people lost in the bush. A great many people owe their lives to his exceptional tracking skills.